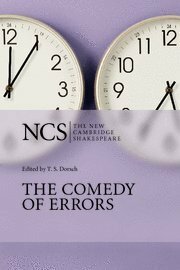 Ros King provides a completely new Introduction to the existing text and commentary for this updated edition of The Comedy of Errors. She argues that the play cannot be regarded only as a farcical romp based on a classical model, but should be considered part of a critically misunderstood genre of tragi-comedy. Stressing the play's underlying seriousness, the Introduction pays special attention to its religious imagery.